Cindy Ford specializes in Residential Single Family Homes in the Milan, Medina and West Tennessee market areas. She is ready, willing and able to help you and your family establish your home in the Milan, Medina or West Tennessee community! 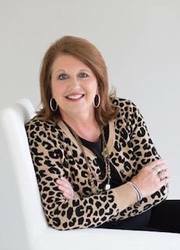 Having been licensed in 2004, Cindy is a member of the Central West Tennessee Association of REALTORS, the Tennessee Association of REALTORS, and the National Association of REALTORS. She has served on the By-Laws Committee, the Public Relations/Advertising Committee and the Charitable Events Committee of CWTAR. Cindy brings 15 years of accounting experience to work in the real estate business. Being a stickler for detail, real estate was a natural career choice. Cindy is very familiar with Milan and the surrounding market area. She was born and raised in Milan and graduated from Milan High School. Cindy has been actively involved in the community, having served as a Board Member, Treasurer and President of Milan Babe Ruth League, Inc. She has also served as Chairman of Team Recruitment and Chairman for Corporate Sponsorship for Milan/Medina Relay for Life. She is also a Life Member of the Junior Auxiliary of Milan.